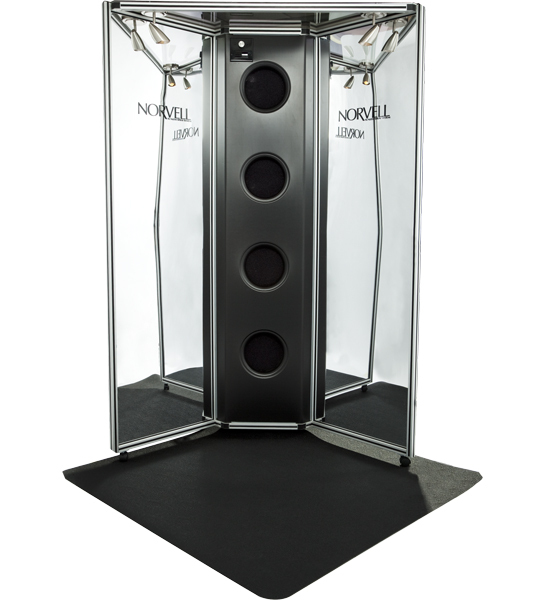 The Norvell® Overspray Reduction Booth utilizes an overspray mist extraction system, comprised of 4 high-capacity fans. 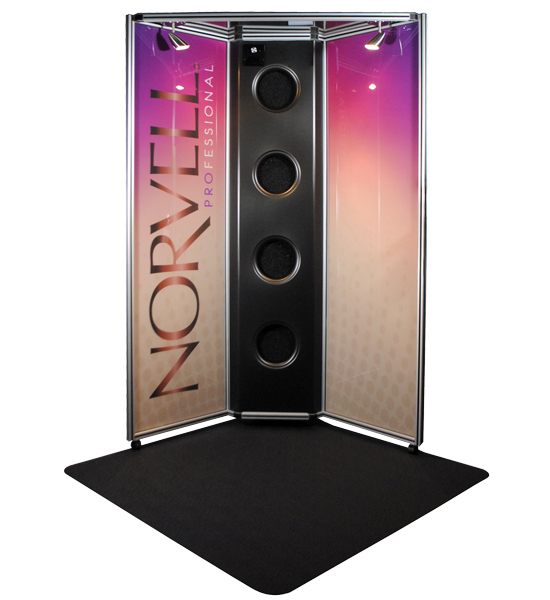 The extraction fans pull excess solution away from your client and into the overspray reduction filtration system. Strategically placed studio lighting along with mirrored panels keep the skin illuminated, allowing the technician visual clarity during the entire session. Also included are caster styled wheels allowing mobile ease when cleaning and moving equipment.